A case of domestic violence has again been reported in South Africa. 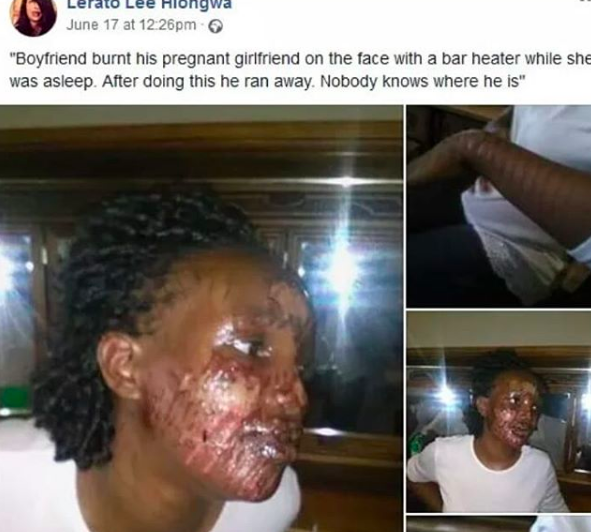 According to reports, a boyfriend burnt his pregnant girlfriend’s face while she was asleep. 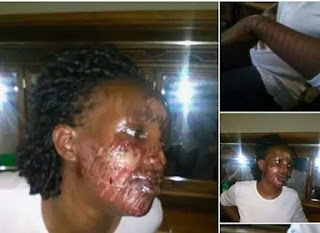 The young man was said to have waited for her to got to bed after they had a disagreement before he pounced on her. he is now on the run.